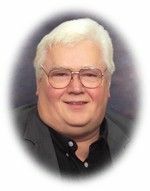 Samuel J. Akers 63 years of age, of New Castle, Indiana passed away Tuesday March 16, 2010 at his home. I am so sorry I was late to the services for Sam. I just found out this morning about his passing; and I came straightaway. Even though I haven't seen you and Sam for many years, I think of both of you regularly. He was pretty special to me. I thank God to have had a friend such as Sam. I wish you peace, Vickie in this time of grieving. If there is anything I can do, I hope you'll call on me! To Josh and family, Were sorry for your loss. Our prayers are with you. Mermories are keepsakes. i am truly saddened by your loss.i pray that God's strength and comfort be with you during this time.you are all very good friends and i will be praying for all of you. Whenever I am troubled and lost in deep despair, I bundle all my troubles up and go to God in prayer. I tell Him I am heartsick and lost and lonely too, that my mind is deeply burdened and I don't know what to do. But I know He stilled the tempest and calmed the angry sea and I humbly ask if in His love He'll do the same for me. And then I just keep quiet and think only thoughts of peace, and if I abide in stillness my restless murmurings cease.